Happy Thursday, everyone, from the world-wide headquarters (WWHQ) of the Corvallis Knights, your 2016-2017 and 2018 West Coast League champions! 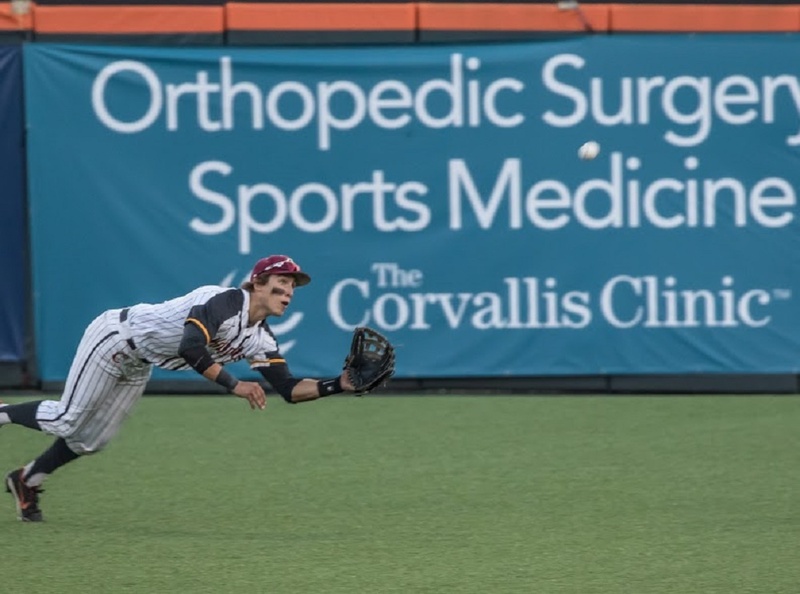 Oregon State redshirt sophomore outfielder Elliot Willy (pictured above in 2017) and freshmen infielders Jake Harvey and Matthew Gretler will join the Knights in 2019. 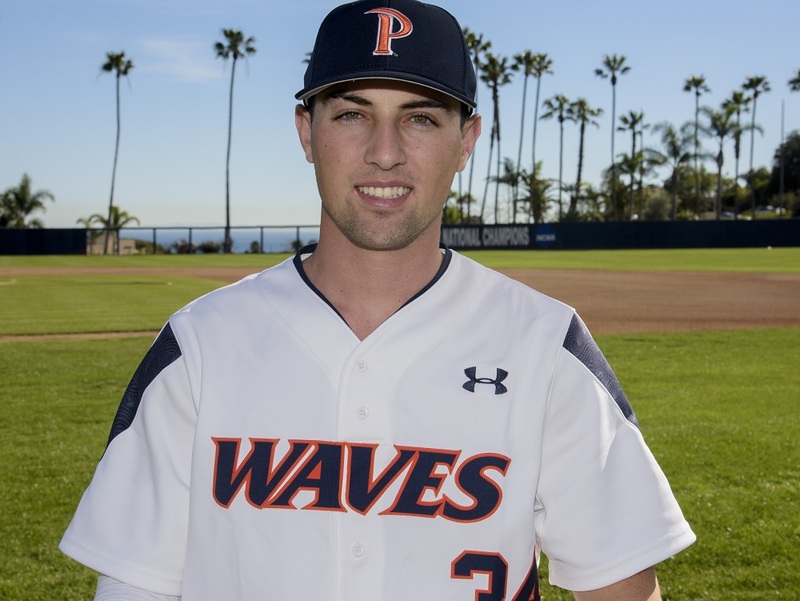 Willy also played on our WCL championship teams in 2018 and 2017. Please click here for full details on those signings. Welcome back Elliot; welcome aboard, Jake and Matthew! We have signed Australian pitcher Brodie Cooper-Vassalakis for the 2019 season. He is a 5-foot-11, 180-pound right-hander from Canberra College in Canberra who is presently a freshman at Grand Canyon University. Cooper-Vassalakis is the youngest player in the history of the Australian Baseball League, as he played for the Canberra Cavalry at 15 years of age. He has also played for the Australian MLB World Select Team, and for Australia’s U18 World Baseball team. “Brodie possesses high-end starter stuff and is a very polished pitcher. His is a very focused, mature young man who is going to add instant depth to our pitching staff this spring,” GCU pitching coach Rich Dorman said. Welcome to the Knights, Brodie! We have signed future UCLA Bruin shortstop Michael Curialle and George Fox University right-handed pitcher Bradley Emmens for the 2019 season. 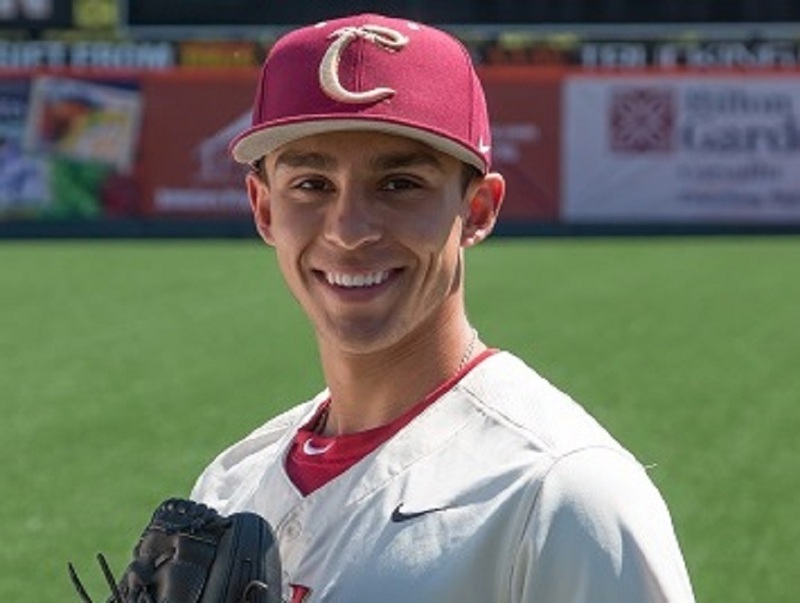 A senior at JSerra High School in San Juan Capistrano, Calif., Curialle will join the team on a full-time basis. Emmens, a graduate of Lincoln High School in Portland, is a 10-day signee. Curialle is a 6-foot-3, 200-pounder from Mission Viejo, Calif. He is ranked as the No. 118 overall prospect in his class and the No. 27 shortstop nationwide, and the No. 22 overall prospect and the No. 5 shortstop in California by Perfect Game. 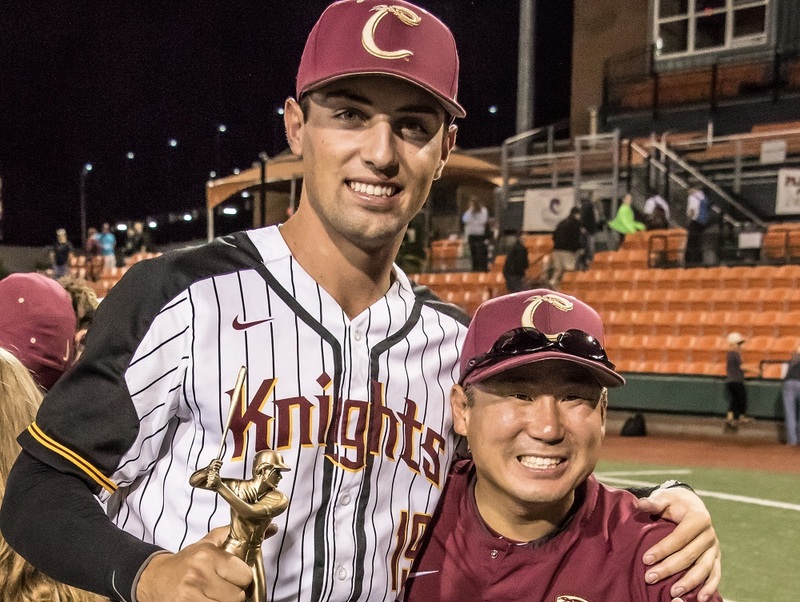 He was a Perfect Game Underclass All-American in 2017 and 2018, played in the 2018 Area Code Games and was named the Offensive MVP of the Boras Classic after leading JSerra to the tournament championship with a go-ahead home run in the title game. Emmens is a 6-foot, 175-pounder who also played quarterback at Lincoln. Cardinals’ coach C.J. Watson described him as the “best-kept secret” in Oregon baseball. “He fell victim to an extremely deep pitching staff the last couple of springs and didn’t get the innings that he deserved,” Watson said. “He had a great junior/senior summer on the mound and displays one of the best breaking balls around. Welcome to the Knights, guys! Alum Chris Stewart (2001) of Riverside City College, our 2001 MVP with the Aloha Knights, has signed with San Diego as a free agent. He played at Atlanta and Arizona in 2018. Alum Matt Boyd (2010) of Oregon State, a left-handed pitcher for the Detroit Tigers, lost 15 pounds in the offseason and is excited for 2019 to begin. Please click here for more from The Detroit News. Alum Adley Rutschman (2016), a junior catcher at Oregon State, was named a preseason first-team All-American by Baseball America. He was one of three unanimous first-team picks in voting by the scouting departments of 15 major-league organizations. Rutschman has also been recognized by D1Baseball.com, Collegiate Baseball and Perfect Game. He was also selected as the preseason player of the year by Collegiate Baseball. The Sherwood, Ore., native hit .408 with a school-record 102 hits and 83 RBIs in 2018. He hit nine home runs and 22 doubles and walked 53 times. Rutschman set the College World Series record with 17 hits and was named the CWS’s Most Outstanding Player. The Walla Walla Sweets have signed pitchers Brayde Hirai and Michael Peterson, and outfielder Brandon Wagstaff of Walla Walla Community College for the 2019 season. Please click here for more information, from Our Sports Central. The Bellingham Bells have signed outfielders Jack Machtolf and Guthrie Morrison and right-handed pitcher Gabriel Hughes of Gonzaga for the 2019 season. Please click here for more information, from Our Sports Central. The Bells have also signed current University of Washington pitchers Jack Enger and Diego Barrera, and incoming freshman infielder Christian Dicochea. Please click here for more information, from Our Sports Central. Victoria will retire the No. 8 jersey of groundbreaking pitcher Claire Eccles, the first woman to play in the WCL. They have also signed five more players for 2019. Please click here for more information, from Our Sports Central. That’s all for today. Have a great week and we will see you on Feb. 5!